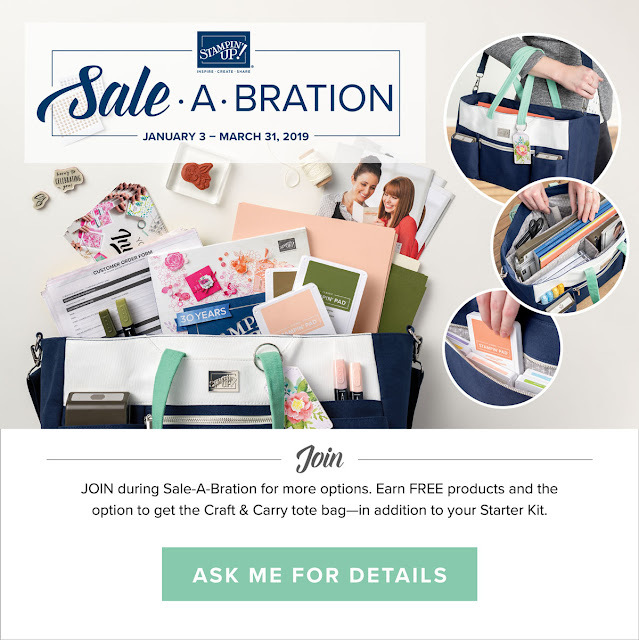 Sale a Bration is almost over Get your last orders in before March 31st to take advantage of any free SAB items. March 31st is also the last day to take advantage of joining with the wonderful Join My Team Special. $175.00 in products for only $99.00. Are you ready to MEASURE UP? What a great way to organize and change the look of your work space. Begins April 1st so lets get things measured up and be ready. I will post a Hostess Code for April 1st. Keep in mind, that these items will not hold any of the old style Stamp Pads. For those of you that have them, I have some Stamp holders for sale that are SU and non SU holders. I have 2 of the Black ones and one wooden one that holds the oldest style stamp pad with a marker and a reinker in the same area. Message me for details. I will also be having a HUGE Sale this coming Summer with a lot of old Ink pads, Markers and Reinkers along with MANY other discontinued SU items. Watch my Blog for more details to come. Configuration sheets coming tomorrow. Keep an eye out! Looks what is coming April !st! And no this is not a April Fools joke. What do you think? Prices are good! Will post more tomorrow. Only one Week Left to get your SAB items FREE with qualifying orders. Got all you want for SAB? Join my team! Join my TEAM! GET a Discount! Get support weather you want to be a Hobby Demo or a Business Demo. We have fun playing in the ink together! Get to see and order things first. $175.00 in product for just $99.00. Don't wait until March 31st is the last day to join. Yeah the Piece of Cake Bundle is now Available to order again! Distinktive Stamp set is coming in the April Paper Pumpkin! I LOVE the Distinktive style stamps! 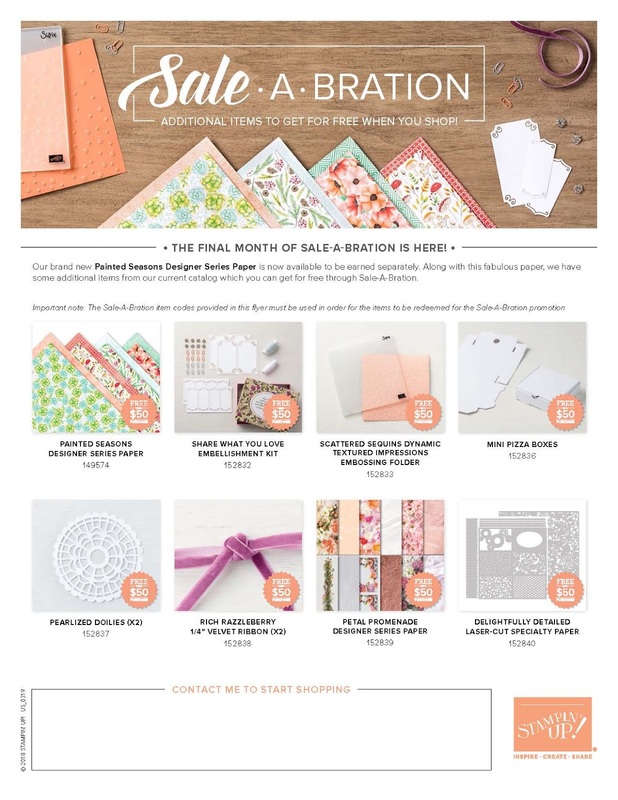 You can still take advantage of SALE A BRATION with ordering a Pre-Paid Paper Pumpkin subscription. Here is a link to take you direct to the Paper Pumpkin ordering area. https://www.paperpumpkin.com/subscribe?demoid=55905 You can also click on the SU logo and it will take you to my Demo website. ONLY 12 DAYS LEFT TO TAKE ADVANTAGE OF THE SALE A BRATION ITEMS. So you must order before March 31st to take advantage of the Sale A Bration special. 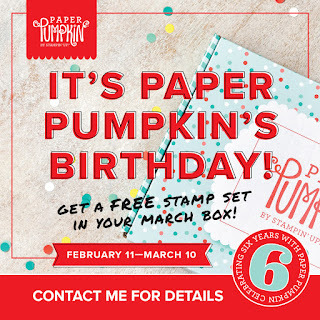 Otherwise you need to order before April 10th to be able to get the April Stamp Paper Pumpkin. FYI Lily Framelit dies are now sold out. There are still some great SAB items left to get so get your shopping in quick! There is still time to join my SHE Barn Stampin Crew. If you answer yeas to any of these questions it would benefit you to join Stampin' Up! as a demonstrator. Do you have an order of 100.00 or more in Product that you would like? Would you like to get a discount on all your Stampin' Up! orders? 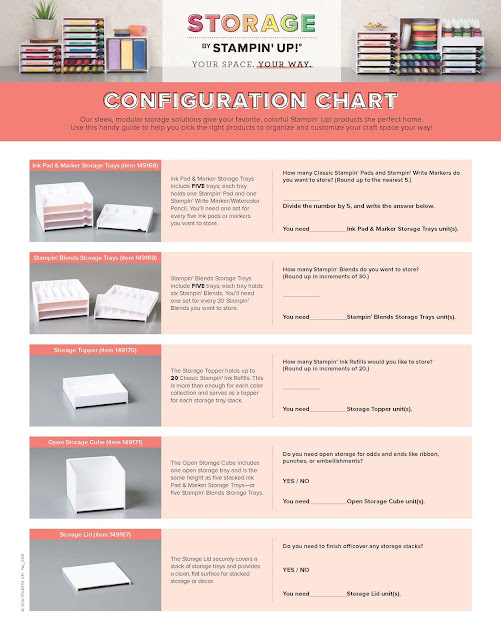 Do you like to do paper crafting? 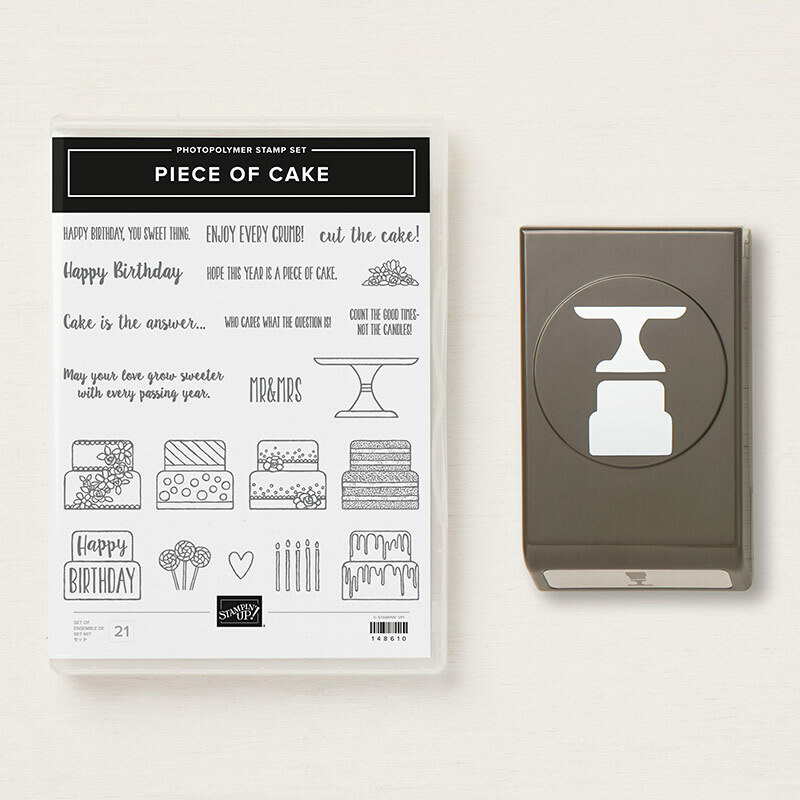 Do you like to get together with other crafters and have a great time stampin? Do you need some quiet time to play in the ink and paper? Need to relax? Do you like to be part of a Team? So you like to get new products before others? 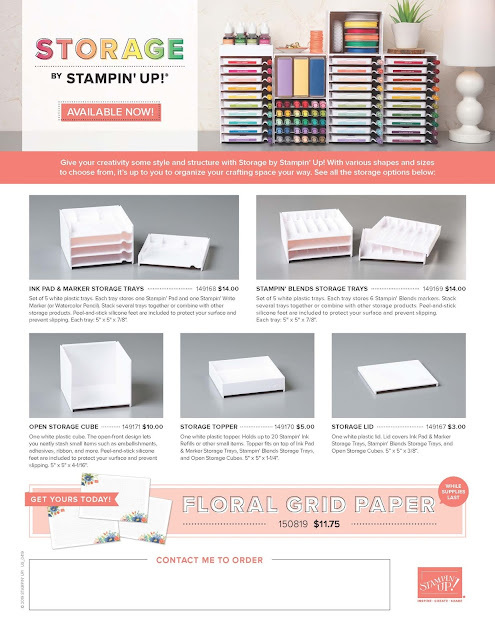 Would you like to write off your Stampin' Supplies? Do you like to teach others and see how great they feel when they create something? Do you like to give hand made gifts? 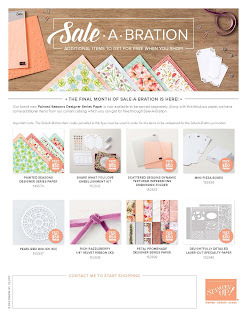 If you join during Sale a Bration you can get $175.00 in products for $99.00. Plus you get free shipping. Or you can choose $175.00 in product for $129.00 and get the exclusive Stamp and Carry Tote. 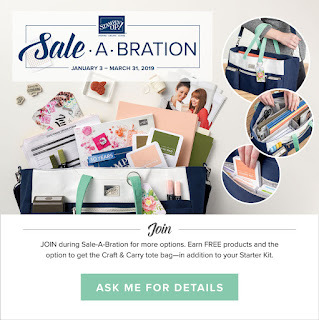 Just click on the Stampin' Up! logo and then go to the JOIN NOW button. I would love to have you as part of my team! Don't hesitate, if you want the Lily Framelits, get your order in now! Hit the shop now button and enter this item #150071. Please use Host code TZNHQX67 when ordering. Sold Out or Almost Sold out items update. 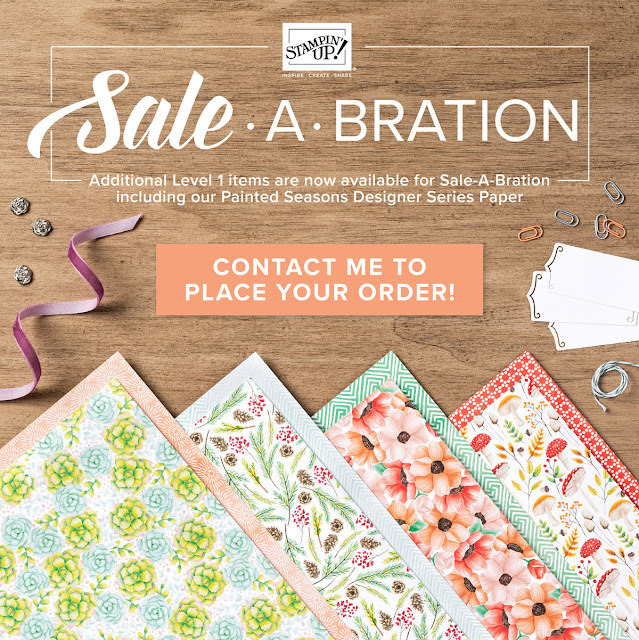 SOLD OUT - all Sale-a-bration, Sale-a-bration Coordination & Occasions Catalog items are WHILE SUPPLIES last as noted on the back of the brochures. The following of products are SOLD OUT. 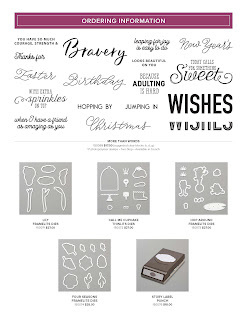 Doily Builder Framelits Occasions Catalog. LOW INVENTORY and will no longer be available when sold out. 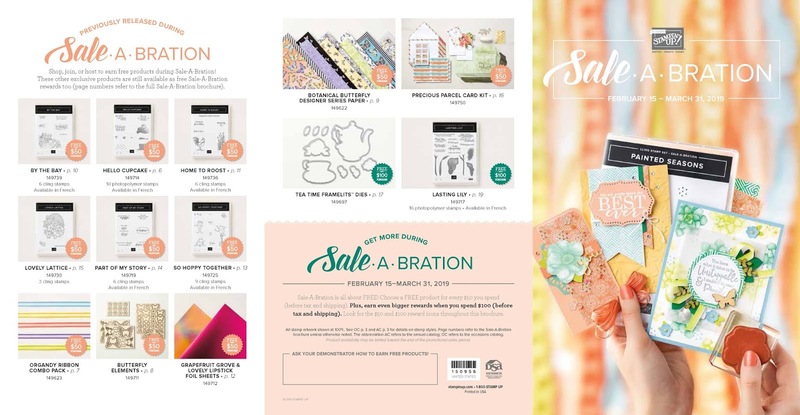 Don't wait to get what you want from the the Sale-a-bration selections and Occasions catalog. Cupcake Framelit dies are now sold out. 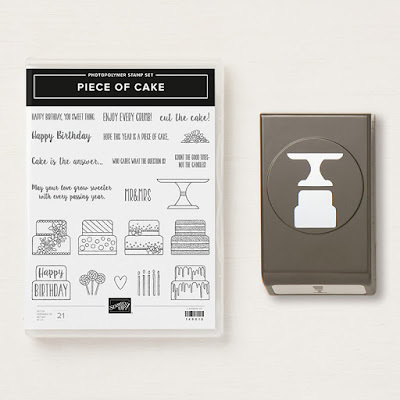 Our Call Me Cupcake Framelits Dies (item 150072) from the Sale-A-Bration Coordination promotion have sold out. Hop around framilits are gone too! Don't miss out on the Lily Dies if you want them or the Painted Season dies! Order now! Please use Hostess code XT7DQZV4 when ordering, unless your order is over 150.00 the don't use Hostess code and earn rewards on your order. Last day to be able to Order March Paper Pumpkin! UPDATED HOSTESS CODE TZNHQX67 Please use when ordering if under $150.00 if over you will receive your own Stampin Rewards. Get the Bonus Birthday Paper Pumpkin now! Order by March 9th! Pre Order your Paper Pumpkin by March 9th to be able to the Birthday Pumpkin set that includes an extra Stamp Set. 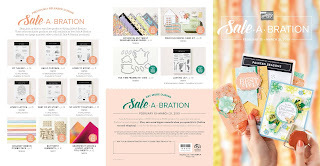 If you pre order at 19.95 per kit or pre order the 3 month Subscription at 57.00 and get a FREE Sale a Bration item. Better yet, Order a 6 month Subscription at 108.00 ($1.00 off per month) and get 2 FREE qaulifying 50.00 SAB items or one FREE 100.00 SAB item. Need another option? Join my SHE Barn Stampin Crew and get $175.00 in merchandise for just $99.00. Oh the choices??? Don't let the others get away before they are all gone. Order the ones you want ASAP! THE ORGANDY RIBBON IS ALL GONE. JUST WANTED TO LET YOU KNOW! Don't wait if there is a Sale a Bration item you really want. Don't wait on the Coordinating dies and Framelits for the SAB items either. YEAH!!! Stampin' Up! 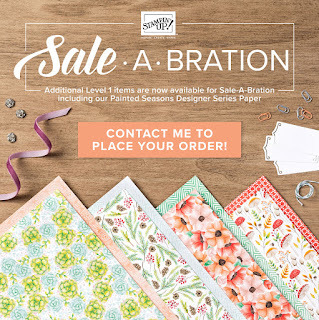 Sale A Bration ORGANDY RIBBON is back! The Organdy ribbon that went so fast is now back in stock. If you are wanting to get it, I would recommend getting your order in ASAP. If you are really loving and of these items be sure to order ASAP as they are while supplies last. Please use Host Code HEMDF43F when ordering.